Nicole enjoys touring with Classical Kids in both Tchaikovsky Discovers America and Vivaldi’s Ring of Mystery. Other credits include Guys and Dolls, The Music Man, A Chorus Line, Beauty and the Beast, Swing! at the Marriot Theatre, The Radio City Christmas Spectacular in Atlanta, Orlando, and Nashville, Seven Brides for Seven Brothers, Meet Me in St. Louis, Hairspray, at the MUNY Theater in St. Louis. Funny Girl, Thoroughly Modern Millie, A Christmas Carol, Curtains, Sweet Charity, Fiddler on the Roof,Kiss Me Kate, Camelot, Superman, and Meet Me in St. Louis at Drury Lane Theatre, Joseph, A Chorus Line at the Paramount Theatre in Aurora. Chicago at Pheasant Run Dinner Theater, Singin’ in the Rain at the Chicago Center for the Performing Arts, and Association, The Musical at the Arie Crown Theater in Chicago’s McCormick Place. Nicole performed for many years with Moraine Valley Theater for Young Audiences as an artist in residence in the following productions: The Little Mermaid, The Velveteen Rabbit, Babes in Toyland, Cinderella, The Odyssey, and The Diary of Anne Frank. 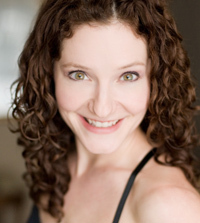 Nicole is the choreographer of A Christmas Carol at Drury Lane Theater, and a proud member of Actors’ Equity.